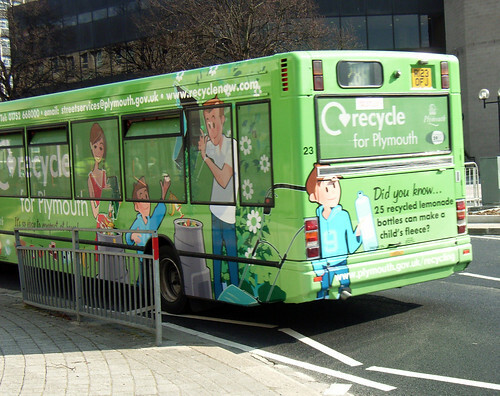 Citybus have been busy in their paintshops recently which has brought even more colour to the streets of Plymouth. 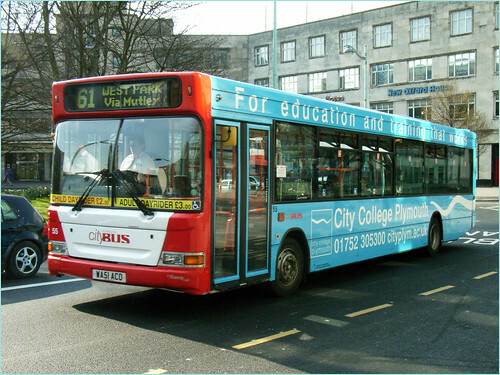 Two other repaints are 55 and 56 both in this smart blue livery for City College, Plymouth. Note that all three retain the red and white front end. 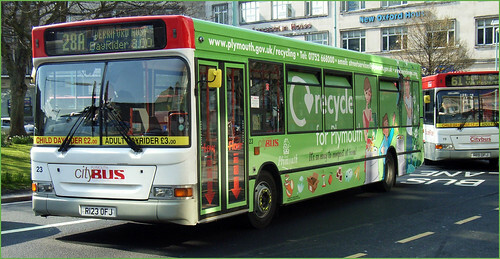 This seems to be a change of policy for Citybus who have generally allowed the full bus into special liveries in the past. You'd have thought when they applied the advert to 23, that they'd have painted the front into the new fleet livery, or am I just being picky?